Move over white. Colorful frame options are changing the way homeowners look at their windows. 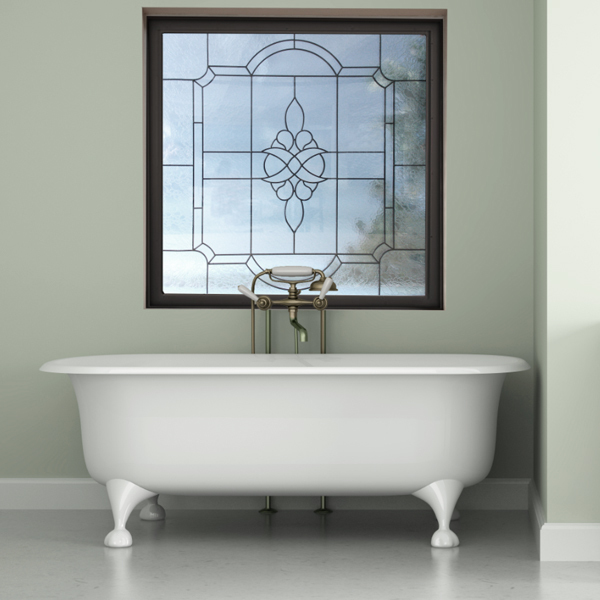 "We are definitely seeing a trend toward people requesting tan, driftwood and bronze frames for their privacy windows," says Jeff Stupp, vice president of sales and marketing with Hy-Lite, a U.S. Block Windows Company. "We've seen this movement strengthen in the past three years, with tan being the front-runner nationally as the top alternative frame option to white. "One of the reasons for the trend is that decorators and homeowners are taking steps to coordinate their window frames with decorative tiles in the bathroom. For example, the popular tan frames truly complement a wide range of color options used for wall and floor tiles." Stupp relates that different geographic regions favor the color options on frames of decorative glass and acrylic block windows more than others. "In some areas in the West we actually see tan surpassing white as the most requested frame," says Stupp. "And in Texas, tan and driftwood are the king of the frames!" According to Stupp, recent sales reports at Hy-Lite show that colorful vinyl frames are most often ordered on decorative glass windows, such as the Home Designer Collection of eclectic windows. "The unique designs of these windows are sometimes thought of as artwork in a room, so it makes sense that homeowners would want to 'frame' their artwork with a color that complements the window style."